She lived on the upper floor of a modest two-family home on the rough-and-tumble outskirts of the Crown Heights neighborhood of Brooklyn, N.Y. Yet to the hundreds of people who streamed through its blue-painted door, Alessa Wircberg’s home was a bastion of acceptance, Chassidic warmth, guidance, support and love. She passed away Friday at the age of 66. 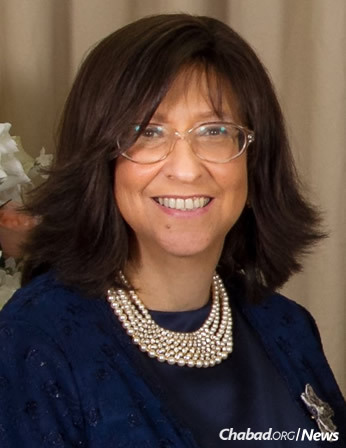 Alessa Wircberg was born in 1952 in Brooklyn to Leib and Kaily Zweig and received a typical secular Jewish upbringing, after which she went on to study music at Barnard College. Through her sister, Hinda, who had rediscovered Judaism and married Rabbi Yosef Langer (today a Chabad-Lubavitch emissary in San Francisco), she was exposed to the world of Chabad, and eventually married a promising young rabbinical student by the name of Yosef Wircberg in 1974. A major influence in her journey to Jewish observance was Rabbi Meir Abehsera, the French-speaking scion of one of Morocco’s most revered rabbinic dynasties, who traveled the world promoting a unique medley of Jewish values and a macrobiotic diet. Determined to assist her husband in advancing his Torah study, Wircberg supported their growing family by working for Abehsera as a bookkeeper, while he studied Torah, Talmud, Jewish law and Chassidism full time for more than a decade into their marriage. While she was well-known as a teacher of the Lamaze method of childbirth, many fondly recall her untiring, unofficial (and unpaid) services to the community. Her home was always open for anyone in need of a Shabbat meal, some advice or even a couch to crash on. This increased in the late 1980s, when her husband—by then an accomplished Torah scholar—was appointed mashpia (mentor and lecturer of Chassidic philosophy) at Hadar Hatorah, the world’s first yeshivah for Jewish men with little or no formal background in Jewish knowledge or practice, which had been founded in 1963. As a shadchan (matchmaker), she set up many couples over the years, and she continued to mentor and guide them as long as needed. Neighbors recall how she would gladly give her last dollar to assist someone in need and was always there to help people, especially those whom others tended to overlook. Shabbat and holiday meals in the Wircberg home were lively, punctuated with Torah teachings, stories, Chassidic songs and the scrape of chairs being added to accommodate unexpected guests. In addition to her husband, she is survived by her children: Kalman Wircberg, Rivkah Elisheva Wircberg, Shterna Friedman, Devorah Leah Movsikov, Rabbi Moshe Wircberg, Rabbi Zalman Shimon Wircberg, Rabbi Sholom Ber Wircberg, Chaya Mushka Aber, Baila Bryski and Chana Peysin. She is also survived by siblings Hinda Langer and Froymie Eli Zweig. Hamokem yenachem.... Boruch Dayan Emes. Although it’s been about 45 years, I can still taste the brown rice and salmon I ate Friday night with Rabbi Yossi, the original “Reb Yid”, and his dear wife-may she have a “lichtiken gan eden”, and many other guests. The sincerity of their faith was palpable. Their humility and sense of privilege to be the Rebbe’s children was unmistakable. Although we haven’t kept up, I have to say that evening left me with a small spark of strength that from time to time lit up my re-commitment to Chassidus. Oh my I did not know this remarkable woman and found myself reading her many contributions to so many people in her life. It pleases me her family and so many people will keep her in blessed memory throughout many years to come. 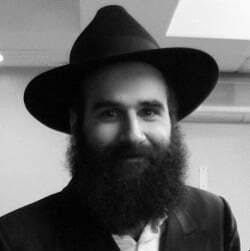 Baruch Dayan haEmet our condolences to you Rav Wirchberg and the whole family. So sorry Zalman.. She will be missed by so many..